Google+ Local rolled out to replace the old Google Places product. This directory of local businesses includes contact information, maps, descriptions, pictures and reviews. But if you aren’t taking an active role in managing your Local+ page, Google will do its best with information gathered from around the web. shouldn’t allow Google to be the master of your Local+ page. 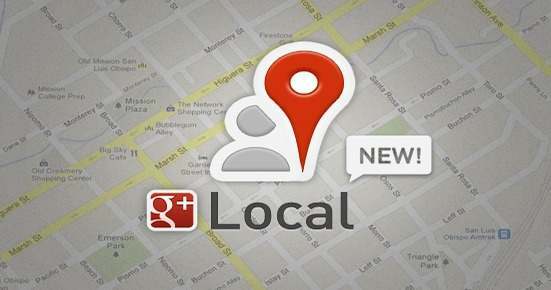 Let’s take a look at the steps you can take to properly optimize your Google+ Local page. The easiest way to do this is to do a search in Google maps for your business and click on the ‘more info’ button that appears beside your business name in the map pop-up. Once you’re on the page, there will be a button on the right hand side that says ‘Manage This Page’. Click there and follow the instructions on claiming your listing. I recommend using the phone option to verify your ownership rather than the postcard. NAP is your name, address and phone number. At a minimum, you should ensure that your business name, complete address, local phone number and URL are all listed accurately. Be aware that updates are not instant and could take weeks to populate on the page. These categories best describe the products and services offered by your business. There are pre-set categories offered to choose from and you must choose at least one category for your business. Google allows you to easily post business hours by days of the week as well as include information about parking and forms of payment accepted. If you don’t add pictures to your profile, it looks like a very generic (and unclaimed) listing on the page. Be sure to add several pictures that showcase your business including your logo. You can add up to five pictures. If you have video content for your business, it can also be added or linked from YouTube. The description is similar to the meta description of your main site. Accurately describe the products and services of your business in less than 150 characters or roughly one to two sentences. One of the main stars of the show of the Local+ page is the review section. This allows visitors to rate your business on a 30-point scale as well as leave a descriptive review. Good or bad, these reviews are there for any visitors to see. It’s important to manage this section by responding to those who leave reviews and by encouraging happy customer to review your business to increase your star rating. If you also have a Google+ page that was categorized as a local business, you can merge your Google+ page with your Local+ page making the page interactive. By doing this, you can post status updates and other information to engage with your followers. Pages that aren’t categorized as a local business and those with multiple locations don’t yet have the option to merge their pages so this is a big benefit to the small business owner. Baidu And Google – Are They Comparable?